For many people, disability equipment provides a means of independence and freedom. Whether this is the ability to get out independently in a wheelchair or complete a treasured or necessary task within the home, having the right aids can be enabling and empowering. However, the term disability equipment may bring with it negative connotations. Images of young Forrest Gump with his metal leg braces come to mind. The focus on disability can create perceptions of stigma, aging, or being dependent Gives the sense that if you need this equipment you are broken or something is wrong with you. Even the word ‘equipment’ makes us think of mechanical instruments. Scary things, not something we want to have to rely on or something which we want to embrace as part of our everyday lives. Over the past decades manufactures have made leaps and bounds in product development, making the aids for daily living less hospital and more hospitable. The products now better reflect the independence, freedom and control that these devices can provide. In fact, the increasing range of equipment available focuses on ability and the ways in which environmental barriers in life can be minimised and personal abilities maximised. So, should we still use a term that highlights the dis – the negative – for equipment that can have such a positive influence? If we consider the devices that might be termed disability equipment we may discover that their focus on enabling contradicts this catch all term. 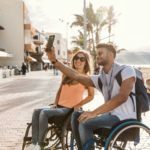 The fact that these items are becoming more common place now also means that often the user might not consider themselves to have a disability. Take for example bathing aids or mobility scooters. The whole image and user profile of these products is changing as is how they are presented by the manufactures. Take a look at this short video by Invacare and see if this is what you picture when you hear the term disability equipment. 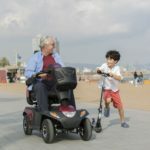 From wheelchairs to walking frames, mobility aids allow people to move around their environment and the wider world more freely and independently. Advancing technology and designs have created an extensive range of aids, with much greater emphasis on personalisation to the individual. So, there are ever growing options to customise equipment to your own needs, make adaptations as needed and choose designs to suit your lifestyle. 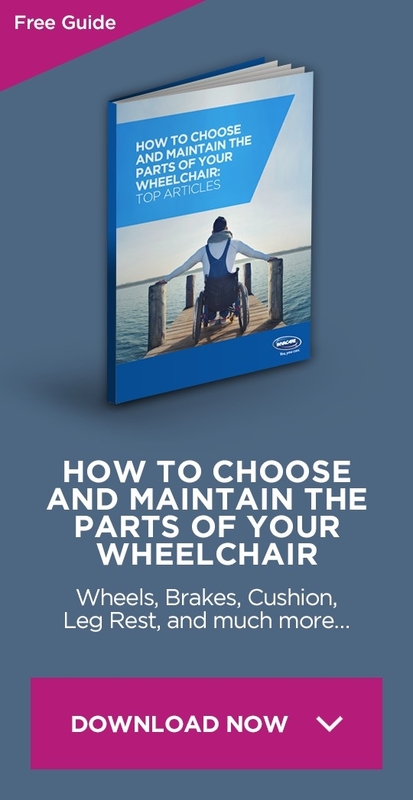 This might include different shapes and weights of wheelchair frames, different drive systems for powered wheelchairs or walking frames with adjustable features and storage options. Walking aids are far more accessible and can be bought at lower costs than ever before, this again goes to reducing the stigma as they are no longer purchased at a specialist medical supplier. The range and personalisation of mobility aids now available provides options to maintain an active lifestyle for all, reducing the restrictions or dependence that might be associated with the word disability. Available for use throughout the home, there are many aids to improve safety and independence in daily activities. 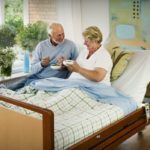 Even for those with more complex needs a wide range of mobility beds offer features to maximise ability and comfort. A variety of hoists are available to provide the best and most comfortable methods to move a person both of which allow a family member be more engaged socially within the home. 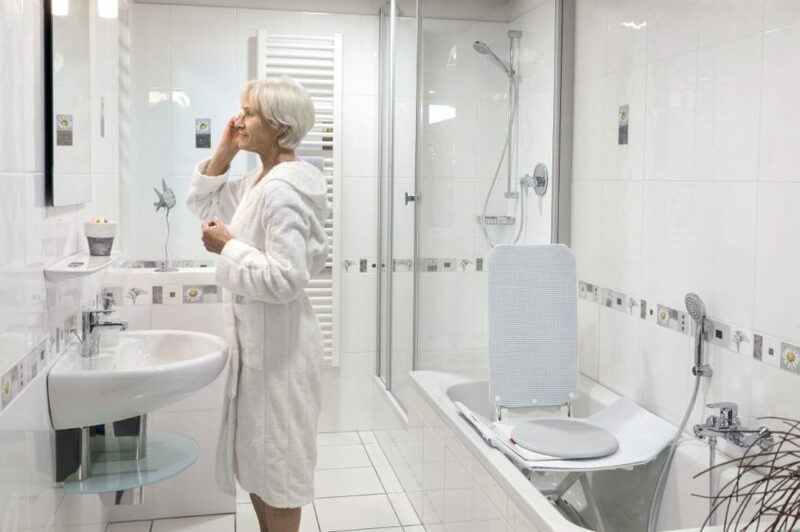 From bathroom equipment to household aids, these devices enable greater access to and control over the home environment. This provides people with the means and freedom to complete tasks themselves, as and when they wish to. This independence and control over your own environment is important for all of us and is another example of how these aids can be enabling and empowering, rather than something to be associated with lack of ability. Does the term disability equipment reflect these changes in perception? Whatever your difficulties and lifestyle there are aids and devices available to increase your independence, improve accessibility and enable greater control and choice over the activities you do each day. The increasing range of options available means you can make decisions that suit you, whether that is choosing a device that has a bit more style or seeking something that is versatile and adaptable to different activities. The catch all term ‘disability equipment’ is broad and may be associated with negative attitudes and a lack of ability. This is not reflective of the increasing range of equipment available, with designs that focus on independence, ability and choice. Some may say what’s in a name? But as we select equipment for our lives let’s think about how the choices we make can be enabling, rather than focusing on disabling concepts.